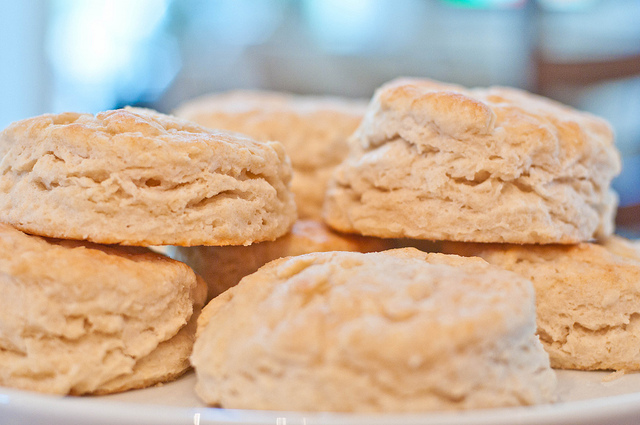 Southern Buttermilk Biscuits hot and fresh out of the oven are about the best thing ever! 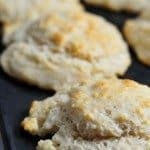 Biscuits are truly perfect for any meal throughout the year, but I especially love to make my Southern Buttermilk Biscuits for my family for breakfast. Quick and simple and easy to have ready in minutes. And yet there are mornings when those minutes may be scarce. 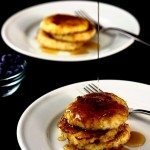 My solution is go ahead and make them in large batches, double or triple the recipe and freeze some for those rushed mornings. Then, just grab a few, pop them in the microwave and enjoy with your family. 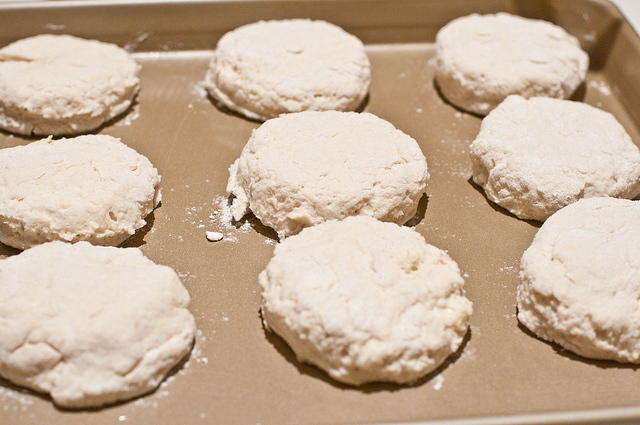 Here’s how my family makes our Southern Buttermilk Biscuits. Give them a try. 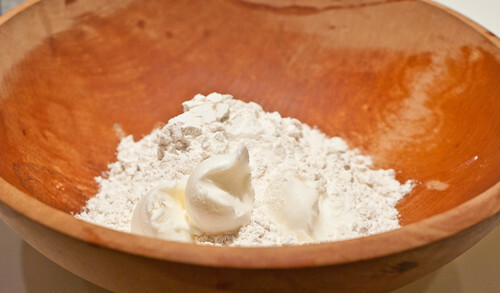 Pour your flour and salt into a large bowl. I like to use this wooden bowl that has been used in my family for years for mixing my biscuits. I feel like generations of ladies before me are right there in my kitchen with me. Cut shortening and butter into the dry ingredients. Do this quickly so your butter never gets too warm. The secret to dough that rises well is cold ingredients and dough in a hot oven. Add milk slowly into the dry ingredients and gently mix until just combined. Do not over mix as it will cause your biscuits to be tough. 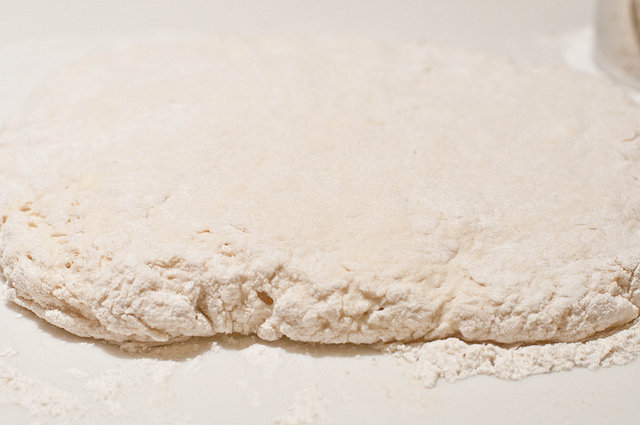 Pat the dough gently into a 1/2 – inch disc. 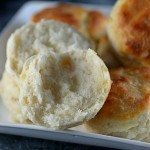 Cut the Southern Buttermilk Biscuits with a sharp cutter made of metal or glass. Do not twist the cutter as you cut the dough as it causes the biscuits to not rise as high during baking. Place the biscuit dough onto a well-greased baking pan and into your very hot oven. Bake for 10-12 minutes and then brush with melted butter. 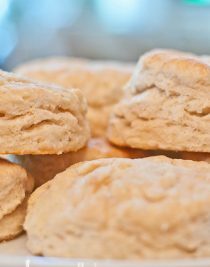 Here’s my recipe for Southern Buttermilk Biscuits. I can’t wait to hear how you like them! 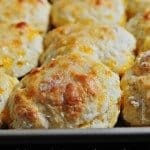 Southern Buttermilk Biscuits are delicious addition to any meal. 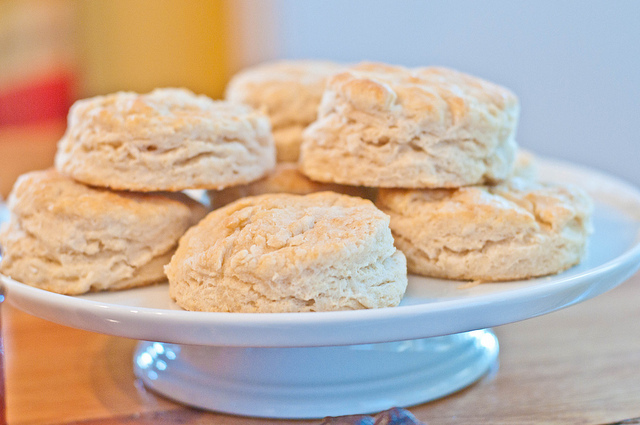 This recipe for southern buttermilk biscuits is a family-favorite. 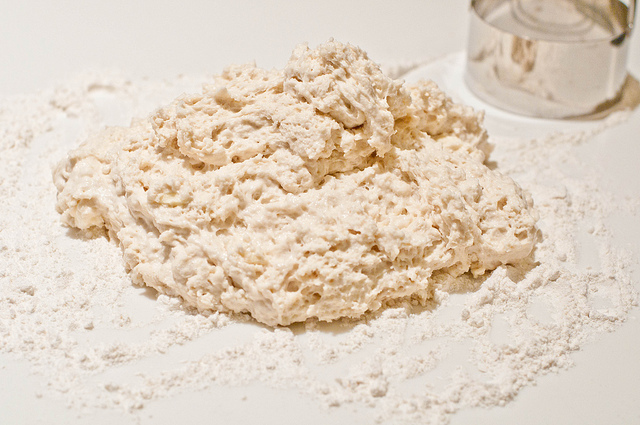 Cut shortening and very cold butter into dry ingredients of flour and salt. Slowly pour milk into your dry ingredients. Mix gently. 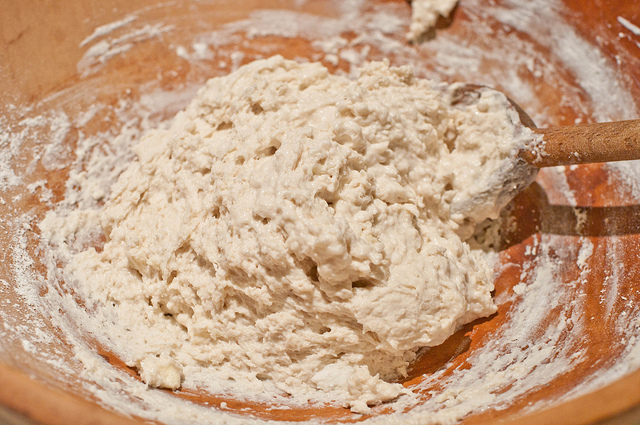 Pour dough onto a lightly floured surface and gently pat into a round disc about 1/2 inch thick. Cut dough with a sharp metal or glass cutter and place in well-greased baking dish or skillet. Brush lightly with melted butter. 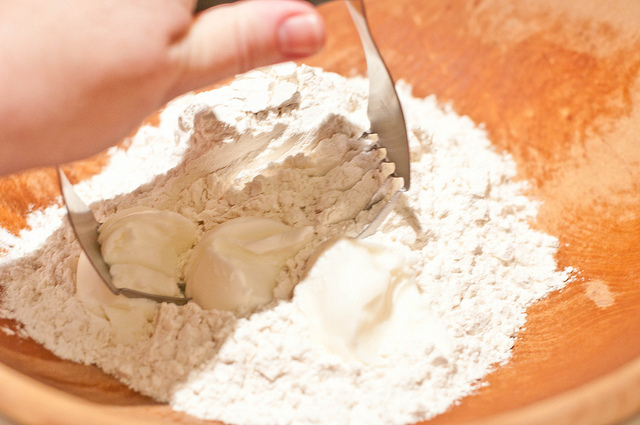 If you do not have self-rising flour, find my recipe for how to make self-rising flour to use in this recipe and others. Quick and simple and easy to have ready in minutes. And yet there are mornings when those minutes may be scarce. My solution is go ahead and make them in large batches, double or triple the recipe and freeze some for those rushed mornings. Then, just grab a few, pop them in the microwave and enjoy with your family. Yummy! Will you bring me some tomorrow morning? Say, around 7ish with some butter and strawberry jam? YUM!!! These look SOOO good Robyn!!! LOVE your new space too!! just beautiful! Wow – your new baby is absolutely gorgeous! I’m sorry I wasn’t right here when she came (darn going to bed early) but I’m glad she is still fresh faced and beautiful this morning! I love it, Robyn. I think buttermilk biscuits are what has been missing from my life. I need to make these. Also, I wanted to say that I love the new site…just beautiful! The site looks great and so do the biscuits! The biscuits look almost as good as your new blog home! Whew! Now put your feet up and eat about 10 with some butter and blackberry jelly! I made your biscuits this morning, sweet Robyn. Perfect. Absolutely perfect! I am so glad you liked them Natalie! I made these one morning last weekend and they just didn’t rise and look pretty like yours. I used your recipe for Self Rising Flour. Can you offer any tips? Any idea what I can do to make them as light and fluffy as yours look? 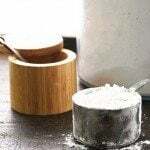 You’ll want to make sure that your baking powder is absolutely the freshest and that all of your ingredients are really cold going into a really hot oven for a great rise. Robyn, could I substitute shortening with butter instead?